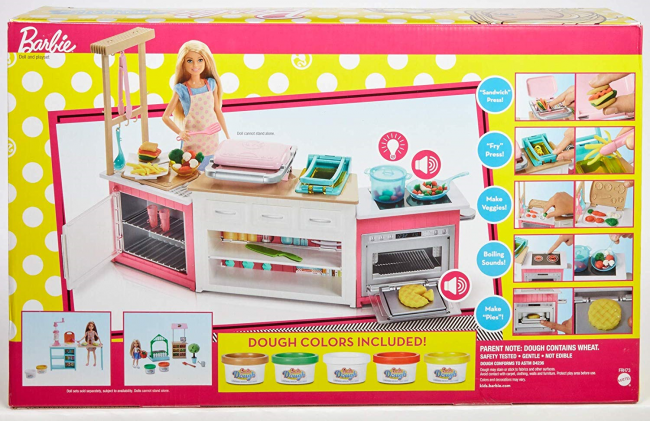 Pretend play will be exciting with this Barbie Doll Ultimate Kitchen Set. 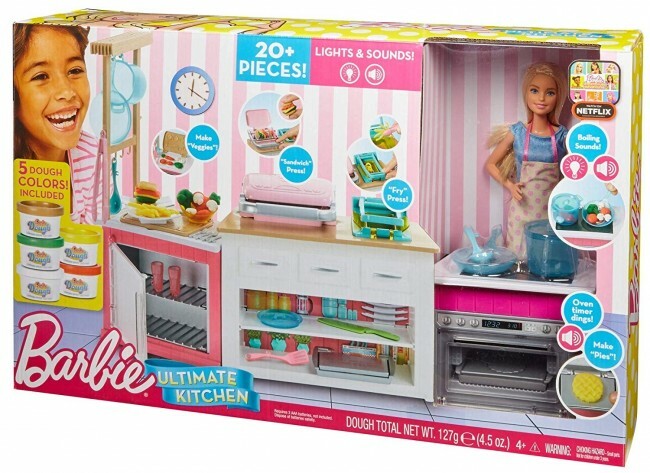 The Barbie Doll Ultimate Kitchen Playset includes Barbie chef doll, kitchen counter, appliances, cooking and dining utensils and five different colours of dough to make food items. Kids can cook up playtime fun with Barbie doll and the Ultimate Kitchen playset!